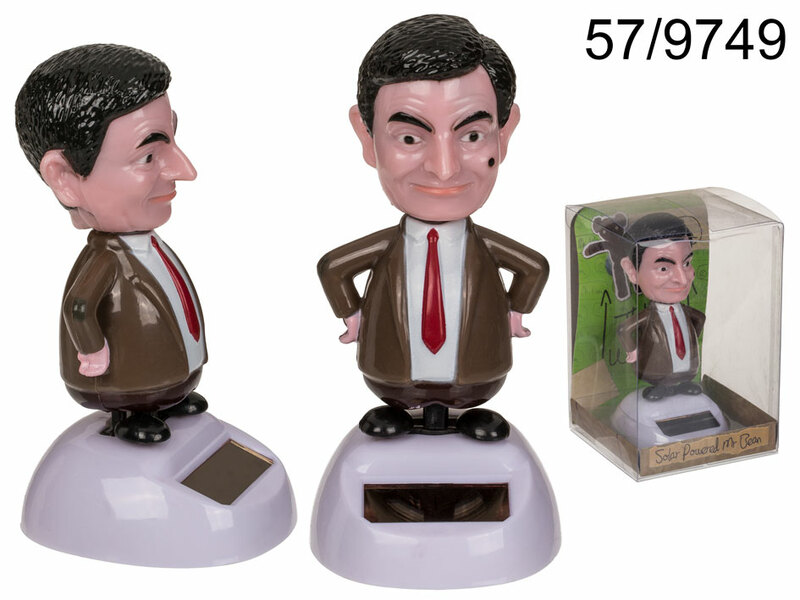 Moving figurine of Mr. Bean that does not need any batteries to work - it is powered by the Sun. It moves thanks to the solar cell in the base. In order to work properly the panel has to be exposed to direct natural or halogen light. Item made of plastic. Cheerful desktop item. Size: around 11 cm.